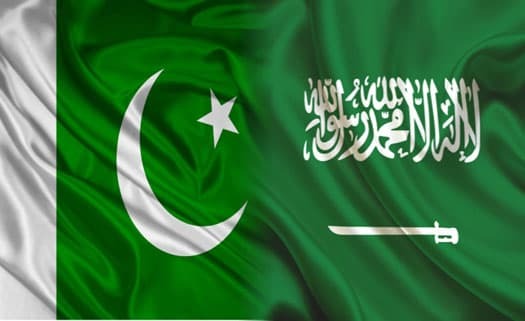 Saudi Arabia has agreed to relax visa procedures, reduce fees for Pakistani nationals and to set up a training institute in Pakistan in order to export Pakistani manpower to help and meet its skilled human resource requirements. A Saudi delegation team from Ministry of Commerce and Investment discussed it with Pakistani Prime Minister on a call, according to the press release of office media. - Export of Halal food from Pakistan to Saudi Arabia. - Saudi Investment in construction of South-North Gas pipeline. - Training Institute in Pakistan to help meet Kingdom's skilled human resource requirements. - Bilateral Investment treaty and exchange of parliamentary delegations. - Pakistan-Saudi JMC moot agreed on activating of Saudi-Pakistan Business Council to promote trade and investment on fast track basis while Pak-Saudi bilateral Preferential Trade Agreement(PTA) also came under consideration. - Possibility of enhancing import of petroleum from the Kingdom and offering investment for Saudi companies in Renewable Energy and Independent Power Procedures(IPPs) is also part of the agenda.